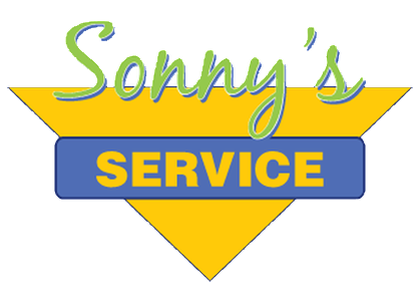 Sonny’s Service of Avoca is a full-service heavy duty truck, trailer, and auto repair shop. 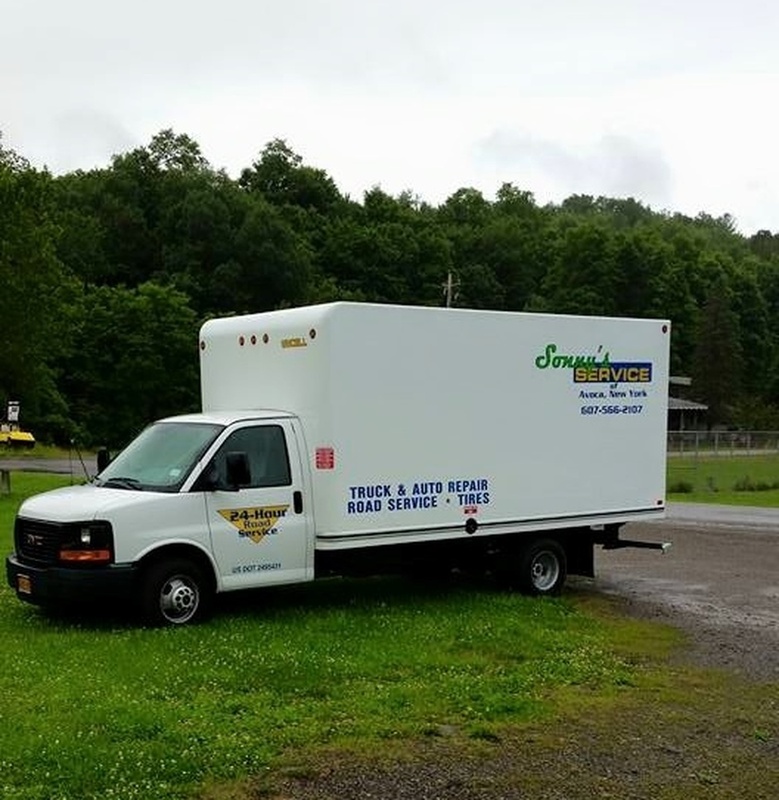 We pride ourselves on providing the most professional and friendly service in upstate New York. As a family-owned and operated shop, we have more than 30 years of experience in all facets of diesel repair, from oil changes to overhauls. We have factory software for all the top name brands, allowing us to diagnose even the most complicated engine issues! 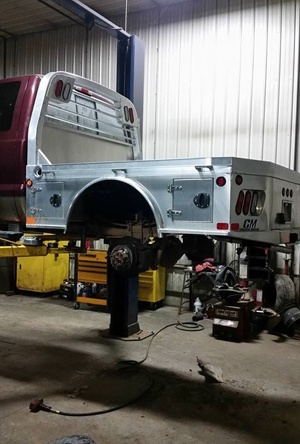 We also offer welding, fabrication services, 24-hour towing, and roadside service. With the ability to make hydraulic hoses in house, we truly are your one-stop shop. Give us a call today to schedule an appointment or just stop on by. We offer free estimates on all your truck, fleet, or automotive repair needs. Competitive prices and labor rates. Quality replacement parts and diagnostic equipment. Our certified technicians offer quality repairs on light duty vehicles, including cars, pickup trucks, and SUVs. We work on domestic and foreign vehicles and are an ideal choice for scheduled maintenance on your car. 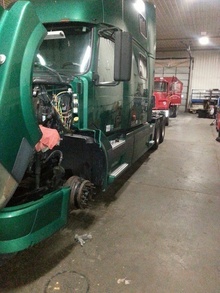 For heavy duty vehicles, including tractor-trailer trucks and other equipment, we have up-to-date diagnostic equipment and software to guarantee the most accurate finding of the problem. With our expertise and tools, we’ll fix it right and have your back on the road or job site in no time. Unfortunately, accidents and break-downs are an all too common occurrence, happening at the most inopportune time. 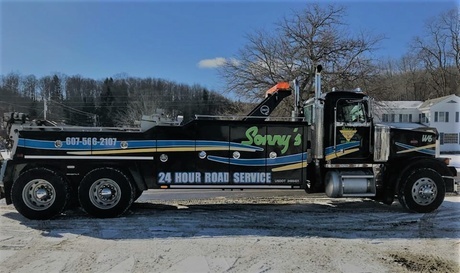 Our fleet of tow trucks can haul any type of vehicle, from the small to the large, getting it back to our shop for a speedy repair. Don’t let your vehicle leave you stranded, call us! We’ll give you an idea of the cost of repairs before to commencing work with our free estimates. 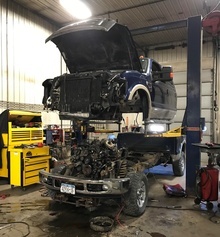 We can thoroughly diagnosis your vehicle or heavy equipment’s problem, giving you a ballpark figure of the cost of parts and labor so you can make an educated decision on whether to go through with repairs.